GeoFace 100 by Time Systems UK is a Intermediate level time clocking in machine with Time & Attendance Software. 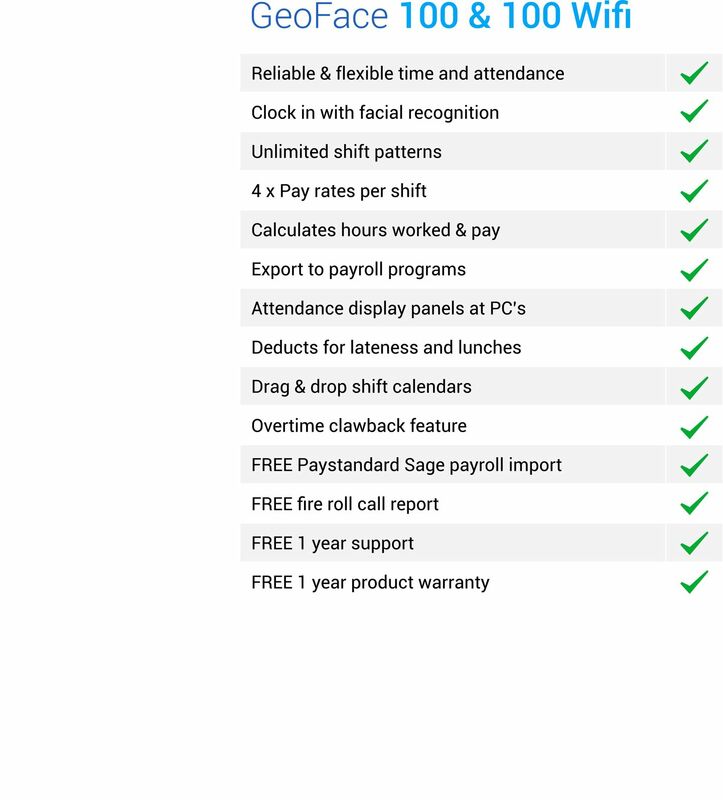 The GeoFace 100 features holiday and sickness calculations, network ready, Fire Roll Call, Sage Payroll Import, additional Payroll Export, Key Personnel Displays. Includes 30 Days Free Software Support + 1 Year Free Hardware Warranty. Each employee presents their face to the GeoFace 100 clocking in terminal and once recognised this creates an in/out transaction. The terminal displays the result of the attempt along with an audible message. 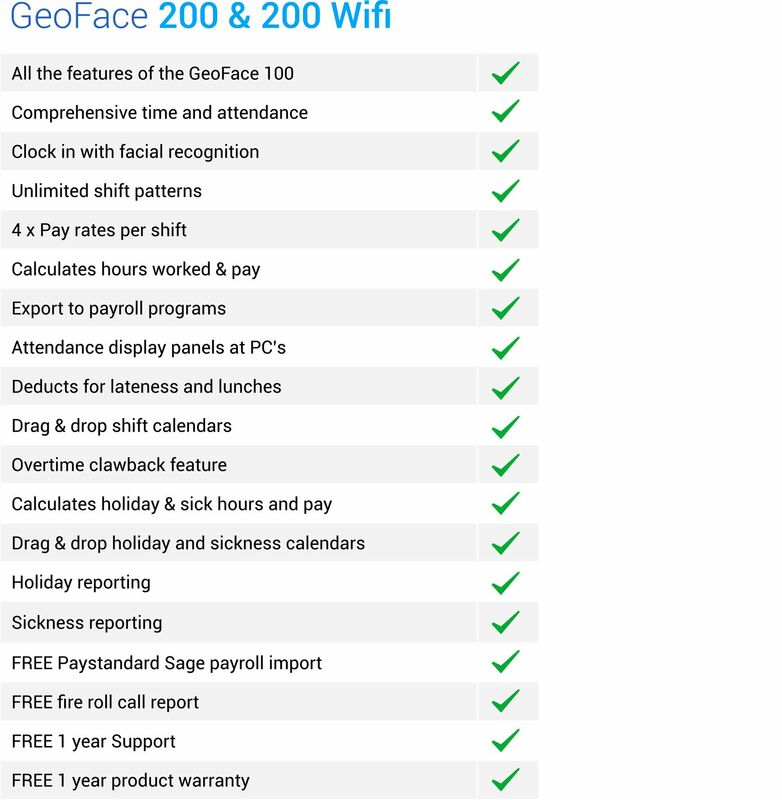 GeoFace 100 software is multi-department, multi-company and can run on a stand-alone PC or networked.